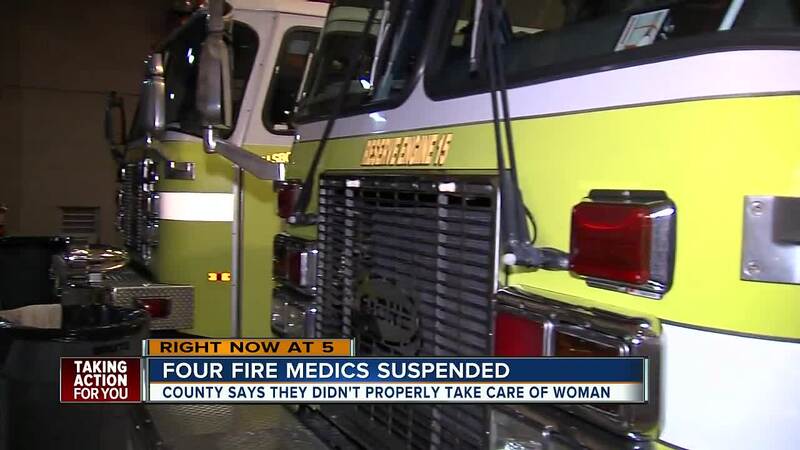 HILLSBOROUGH COUNTY, Fla. — Four Hillsborough County Fire Rescue personnel have been suspended pending the review of a July 4 incident involving a possible stroke victim. Fire officials say the responders didn't take the victim's vitals. The county administrator says this is not only standard — but common sense. "In a situation where it's obvious to me, to any of you, that they should have at least taken this woman's blood pressure. 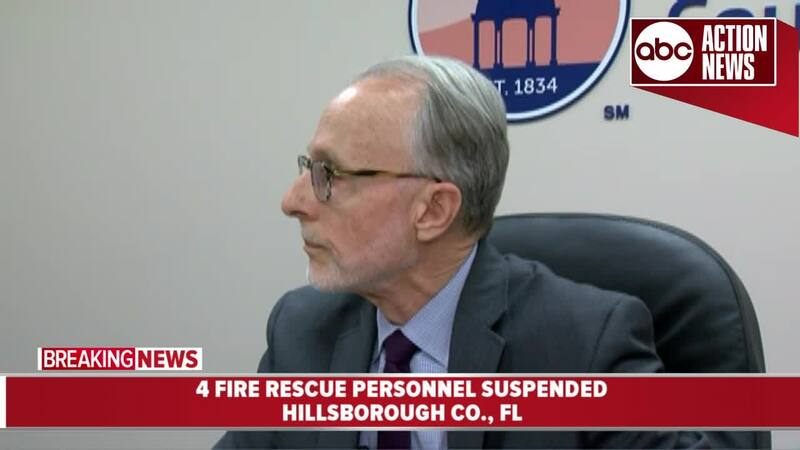 And clear and obvious, she needed to to be transported and none of the four made the right decision," Hillsborough County Administrator Mike Merril said. Lt. John "Mike" Morris, 36; Fire Medic Justin Sweeney, 36; Fire Medic Andrew J. Martin, 28; and Acting Lt. Cortney Barton, 38, were notified of their immediate administrative leave with pay on Friday. The incident in question involved a call where rescue personnel responded to a request for medical assistance for a 30-year-old woman who dispatch coded as “Stroke (CVA)/ Transient Ischemic Attack (TIA)." Officials say the woman had a c-section a few days prior to the incident. She wasn't feeling very good and at one point her mother called 911, saying her daughter was passed out in the upstairs bathroom. According to the county administrator, there was some discussion about how much an ambulance ride would cost them, but when the fire medics arrived, they say the mother insisted she would take her daughter. They asked the daughter if she wanted to be transported and they say she nodded yes. Instead, the mother ended up driving her to the hospital where she eventually died. That's the second procedure they broke — not getting a consent form. They also wrote that the patient hadn't been found, when clearly she had. "It showed up as patient can't be found, or person couldn't be found," Merril said. "Anybody looking at that on its face would have dismissed it. This is clearly unacceptable. We can't have this happen again." Officials say that based on the facts and statements obtained during the review of the incident by human resources, the four Fire Rescue personnel did not perform their duties. The investigation also found that several of the standard operating procedures were violated during the incident. A pre-disciplinary hearing will take place on Tuesday, July 31 at the earliest. The department says final employment decisions will not be made until after the hearing. Of the four employees, Morris has been on the force since 2012; Sweeney since 2013; Martin since 2013; and Barton since 2009.